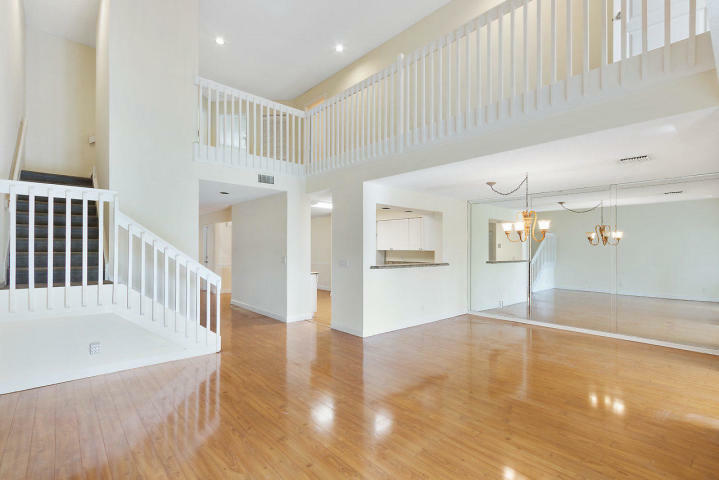 This spacious home boasts over 2,200 sq ft of living area with open floor plan, volume ceilings, upgraded kitchen, recently remodeled half bath, recessed lighting, plantation shutters, ceramic tile and laminate wood flooring. Master suite features newly renovated bathroom, dual sinks, upgraded vanity and large walk-in closet. This home features a stunning lake view.